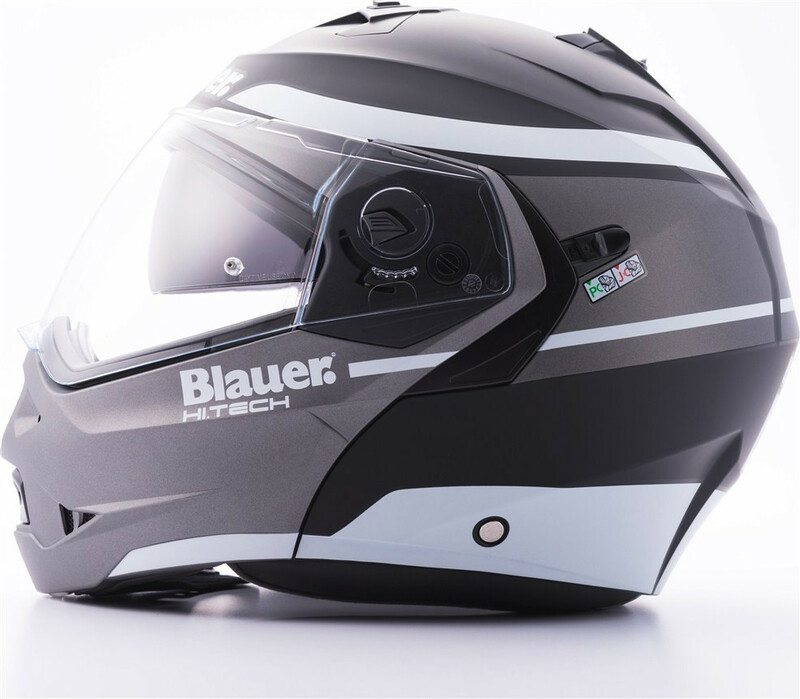 Blauer Sky is the new 100% MADE IN ITALY Blauer modular helmet with a captivating look and innovative technical solutions. 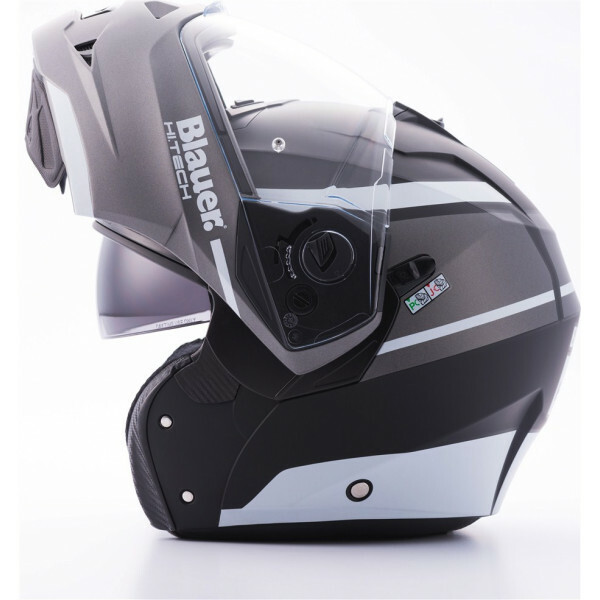 The Blauer Sky II comes with the dual P / J approval, which allows you to drive with the chin in both open and closed position. 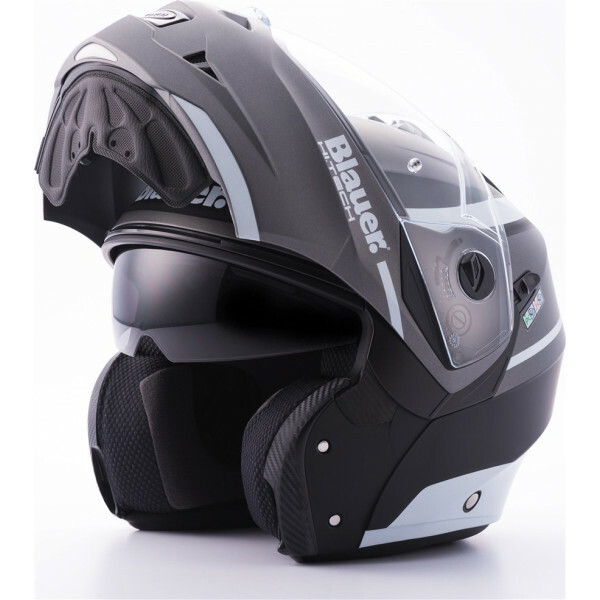 Thanks to the reduced dimensions of the helmet, the weight of the Blauer Helmet Sky II is only 1550 gr / -50 gr. 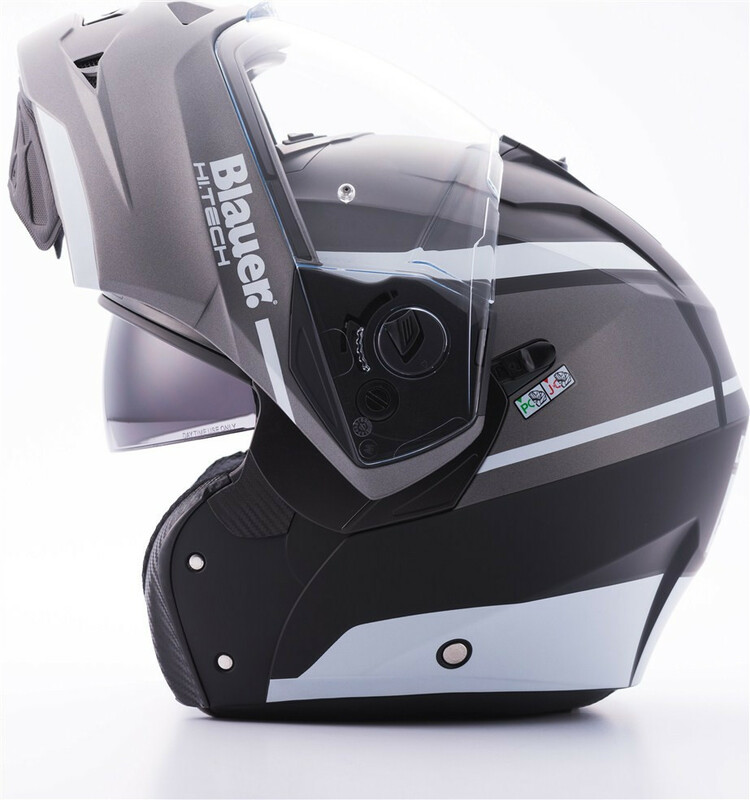 And it is equipped with the exclusive Double Visor Tech system that, thanks to the sun visor, allows you to always drive with the right light and in safety. 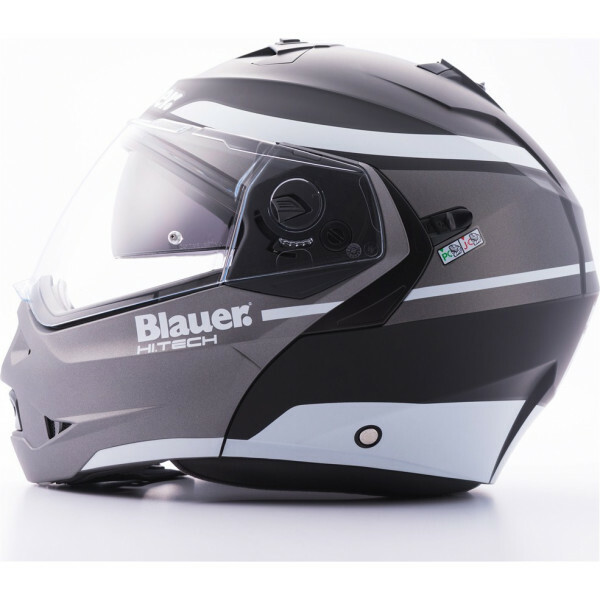 Both the sun visor and the transparent outer visor are scratch-resistant. 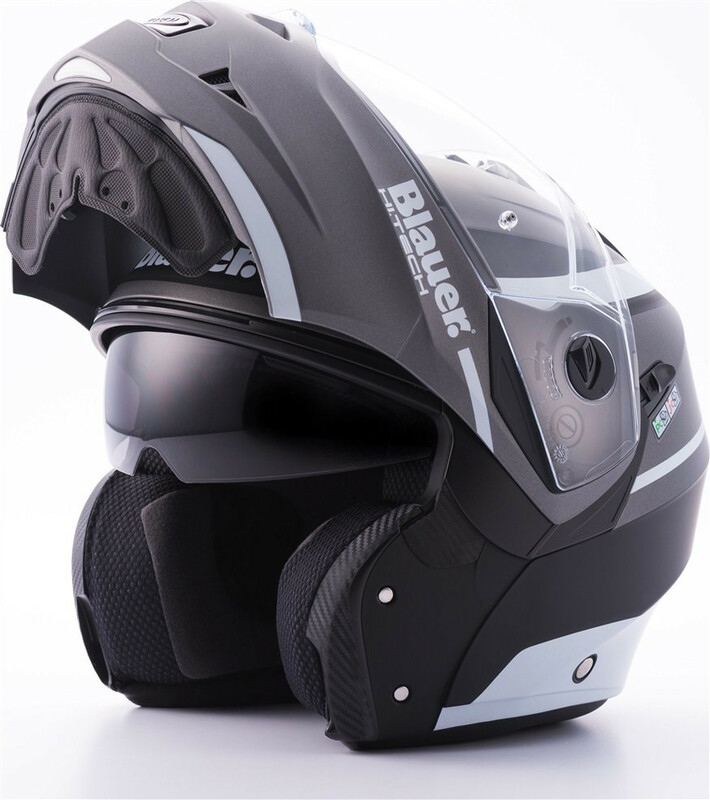 Ventilation is guaranteed by two easy aerators, one upper and one positioned on the chin guard. 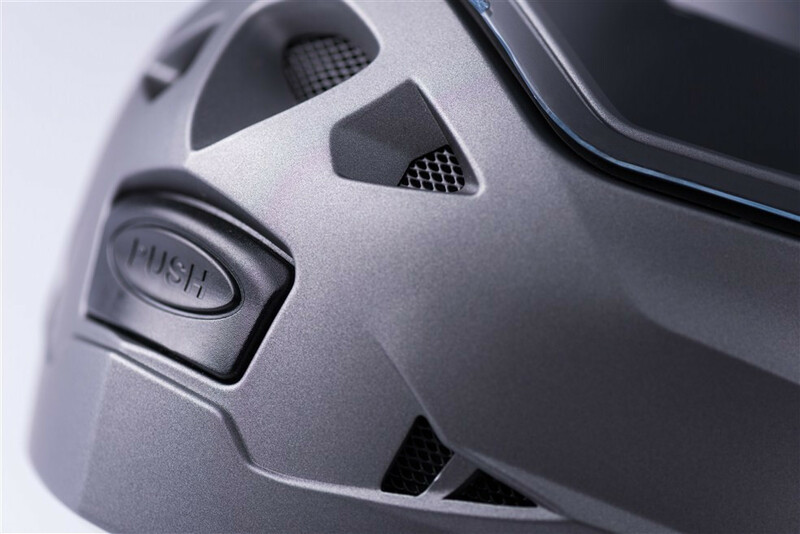 The air is channeled through grooves on the inner lining that ensures perfect ventilation of the helmet. 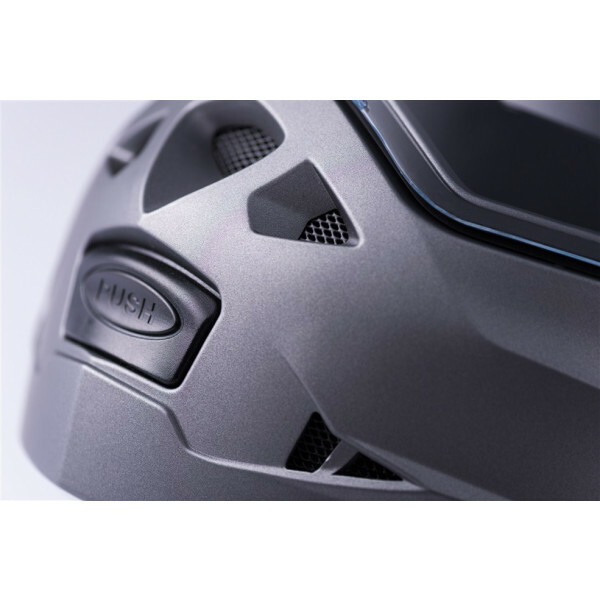 The interior is completely removable and washable, made with breathable and hypoallergenic fabric to ensure maximum freshness, with reflective inserts on the back of the neck. 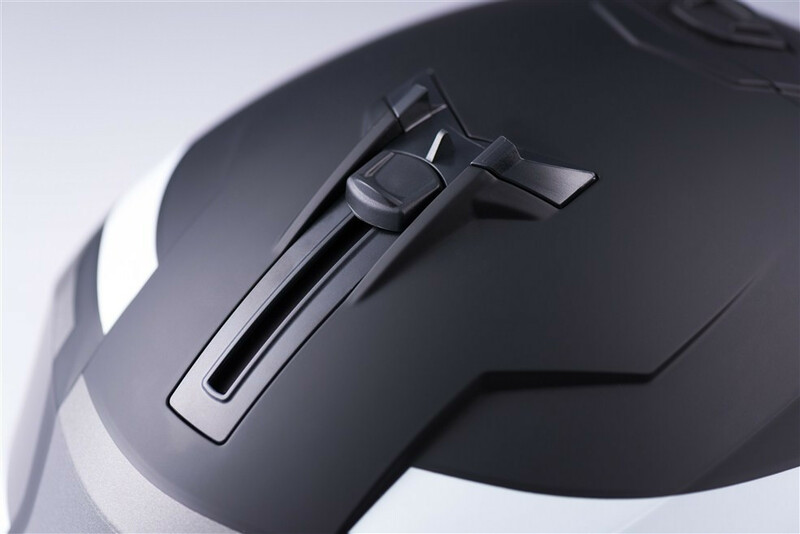 Prepared to house the "JUST SPEAK EASY" Bluetooth communication system that allows you to communicate not only with your mobile phone and your passenger, but also to connect to a GPS system, listen to music through your mobile phone or an MP3 player. 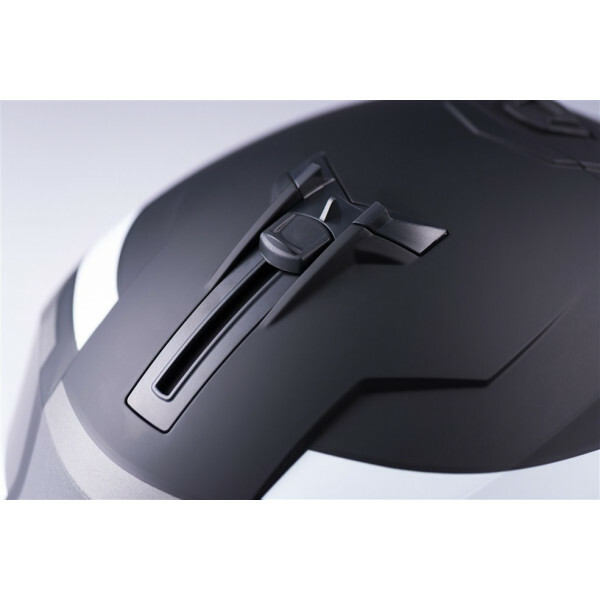 Just Speak Easy is equipped with Bluetooth A2DP that allows you to listen in high quality stereo. - Weight: 1550 gr. 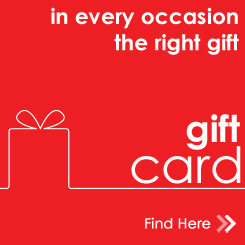 / -50 gr.